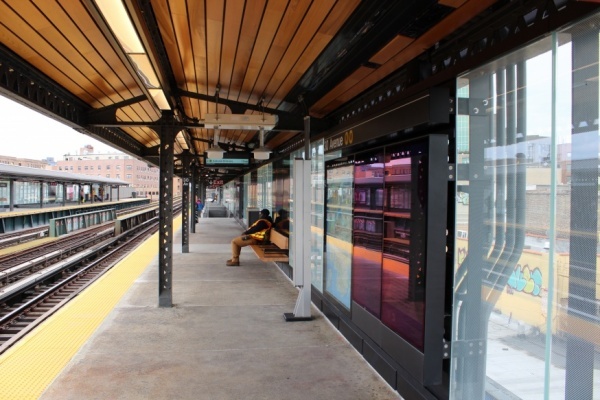 A straphanger died after being struck by a train in Astoria on Thursday. A Manhattan bound N train struck a woman in the head as it pulled into the 30th Avenue station on Thursday around 2:04 p.m., police said. Recent updates say the woman, who police say was around 60 years old, was observed on the platform, walking into the train by bystanders, according to police. The impact pushed the woman back onto the platform and she suffered serious head injuries. EMS rushed the woman, who did not have any ID on her, to Mount Sinai hospital in Queens but she was pronounced dead upon arrival. No criminality is suspected and the investigation remains ongoing. So they all witnessed her walking to the edge of the platform and said/did nothing??? They just let her richoche back? Someone prayed for her to stop, but it didn’t do anything . What I am really surprised at is that none of the idiots who watched her get killed, didn’t record the event with their phones. So your blaming the minority train conductor??? Was she leaning over to look for the train, not realizing it was so close? How could this happen? God rest her soul. This is traumatic for bystanders ,as well. It’s very sad. Condolences to our neighbor’s family. It could happen to anyone when they are just not quite paying attention, but we don’t really know what happened. I once saw someone have a seizure right after boarding the train. If it had happened seconds earlier, that person could have fallen on the tracks right as the train approached. All the time the people are advised by stay out of the gap. Be careful the yellow line. Thanks all the crews of the MTA. Sad to see something happen like this to someone. Is that all you have to say about a tragedy, someone’s life ending in a terrible accident like that? Pat Macnamaracist why are you blaming this on illegal immigrants like usual? I was getting sloshed at McGloughlins when this happened. Really killed my buzz. My condolences to the family and friends of the deceased. Why do you think “woman zero” is considered racist? I agree, it’s in REALLY poor taste but just downvote.